Industrial Scrap Metal Removal and Recycling in Minneapolis, MN - Industrial Metals Inc.Industrial Metals Inc. Since 1953, Industrial Metals Inc. had provided the Minneapolis and St. Paul Twin Cities metro region with industrial scrap services. Our commercial scrap metal processing is the best in the region. We value our customers above all else and guarantee the best rates possible for your scrap metals. We know the best scrap metal buyers in the area. We will pay you a fair price for your industrial scrap. Let us help take the stress out of your next warehouse cleanup. We know exactly who to recycle your metals with and will handle the removal and processing ourselves. We are the initial step in the manufacturing of new material. 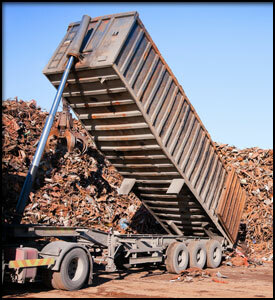 Processing your scrap metal begins the vital chain of manufacturing new metal for industry. This process saves our country crucial energy every day. The team at Industrial Metals Inc. also offers warehouse scrap metal services to industrial and commercial clients in the Minneapolis and St. Paul Twin Cities metro region. We understand how busy and crowded a warehouse can be, let us help clean things up for you with our scrap metal removal and processing.